In 1927, construction began on a country club that would feature an 18 hole golf course, pool, bar, restaurant and a lounge. The interior of the main clubhouse was very decorative and was built entirely out of wood. 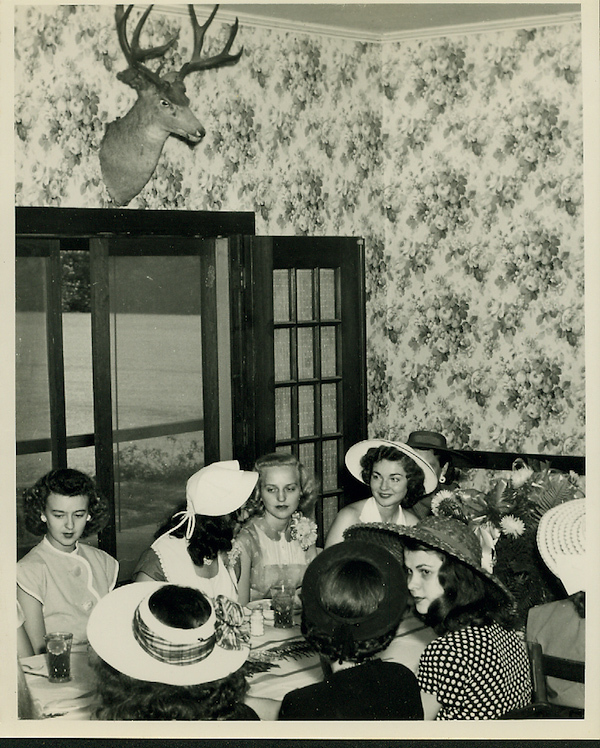 Note the paneling and elegant door frames in the first picture from 1941. As the Batesville Country Club was growing in business and getting more and more members, the interior structure was not kept current to prevent fires or other disasters. As a consequence, the main clubhouse burnt down in 1965. Shortly after the fire, the board decided to reconstruct. The building of this new Country club was designed to expand from the old structure, and was brought up to code to prevent an additional fire. 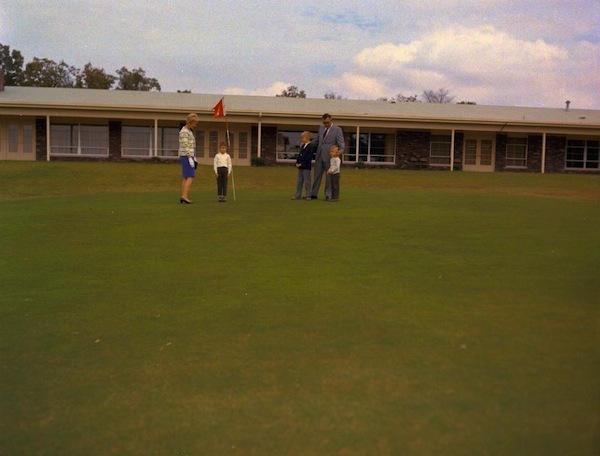 The Batesville Country Club finally reopened in early 1967 and was met with an even greater sense of popularity among the community. Old and new members kept the structure alive and running with a steady growth in business and membership. This phase of development for the country club ended in the 1990’s when a slow, but noticeable decline in popularity began. This was not fully acknowledged until 2010, by which time it was too late to reverse the damage done by dwindling membership and the changing atmosphere of the community. 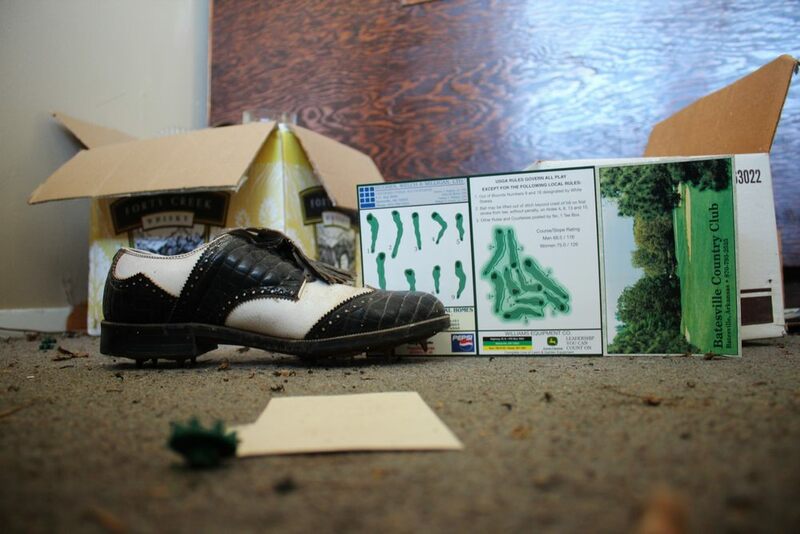 Though attempts were made to increase membership and put the club back in the black, the Batesville Country Club was too financially starved too successfully revive itself. In 2011, after 84 years of providing service to Batesville families and youth, the Batesville Country Club was financially drained and shut down. After only 3 years of abandonment, the damage done to this once proud establishment is devastating. Suffering damage that is more severe than should be expected, the Batesville Country Club is a picture of nature reclaiming the landscape, slowly erasing human influence and comfort. Current conditions of the grounds are deplorable, stepping into the tall grass of the former golf course arouses a noticeable disturbance among a variety of creatures, some you may want to catch. The ceiling and walls are beginning to collapse, invaded by the natural, rampant growth. 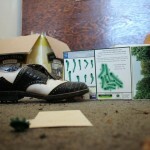 Before the Country Club shut down, the owners attempted to auction off the items within the building. Most of what was offered did not sell, as a result, televisions, cutlery, and much of the infrastructure once essential to the business are now scattered, destroyed, and vandalized. Most recently, in 2013, William Richardson purchased the property with plans to renovate. While no action has been taken thus far, there is a tentative proposal to demolish the structure and build an apartment complex, turning a central hub of a community into a living area for those who need it most. You did such a great job and i think it is good to be a part of this awesome post.Thanks for your greatest effort and i was taking a look on this post and then i found something fresh on this information. I dj'd many a dance there. That's sad. My brother in law golfed there in the late 70's-early 80's. Most of the kids I knew swam at the city pool though. I went to a Lyon College Senior Party there in 2010. It's shocking how far it's come in just that many years. What I don't get is why people move out of properties and just leave everything there to rot…files, papers, trash, in this case even clothing. I can see it would be a little difficult to decide what to do with anything that had some value (furniture, dishes, etc) but would think that even then some arrangement could be made to donate or sell and donate the proceeds. Unfortunately when they closed they left some unpaid bills to local vendors. When asking board members who was responsible you could never get a clear answer. Shameful at the present condition as well. Who could I contact to buy a few things? I used to work there. I learned a lot from the famous chef, Connie N.
I can't believe it's that bad now. Unbelievable! Heartbreaking for this Batesville gal! It makes me sick, people can just walk away from a place and then turn around and build another one. Got deep family roots there and family still living there. Love th a t little town.